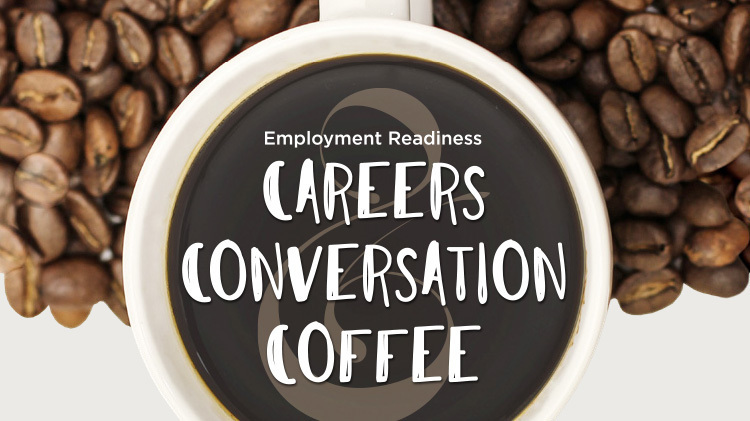 Date: Apr 19 2019, 11 a.m. - 1 p.m.
Join Employment Readiness at their first Career, Coffee and Conversation gathering! Converse with the group about careers, career development, job searching and applying for federal employment. Take part in an open and stress-free environment where you can share your career experiences, get advice about your job search, talk about future career plans, employment opportunities in the area and support each other in our career development process. Registration is required. The deadline is April 15, 2019.